What more can Marquez accomplish? By John F. McKenna (McJack): It has been 8 days since the tactically brilliant but extremely controversial fight between WBO/WBA lightweight champion Juan Manuel Marquez (54-6-1, 39 KO’s) and World Boxing Organization (WBO) welterweight champion Manny Pacquiao (54-3-1, 38 KO’s). Much has been written about the way the fight ended and the controversy which surrounded Pacquiao’s controversial win over Marquez. Both of their previous matches also ended in controversy. In 2004 Marquez and Pacquiao fought at 126 pounds in a fight which after 12 rounds was called a draw despite “El Dinamita” being floored 3 times in the 1st round. It was later acknowledged by one of the judges that he had made an error in tabulating his scorecard which resulted in Manny being deprived of victory. The 2nd meeting between Marquez and Pacquiao in 2008 also ended in controversy when “Pacman” was awarded a razor thin victory. In that fight too many boxing fans thought that Marquez did enough to win although once again he had been floored by Manny. In the interim between the Marquez – Pacquiao fight in 2008 and last Saturday nights tactical war Pacquiao moved up from 130 pounds to win the WBC lightweight crown against David Diaz on June 28, 2008 with a 9th round TKO, the light welterweight title against Ricky Hatton on May 2, 2009 via 2nd round KO and the WBO welterweight title against Miguel Cotto on November 14, 2009 with a 12 round TKO. Pacquiao has been fighting comfortably at welterweight for a couple of years while in his only other foray into the welterweight division Marquez was shut out by the defensive genius and master counter puncher Floyd Mayweather Jr. Marquez appeared bloated in the Mayweather fight and struggled with the added weight. In the 3rd fight with Pacquiao however the Marquez camp brought in strength and conditioning coach Angel Hernandez to help his body assimilate the extra weight. The work with Hernandez more than paid off. “El Dinamita” appeared to be a different fighter than the one who faced Floyd Mayweather Jr in 2009. He was not bloated and carried the extra pounds well. 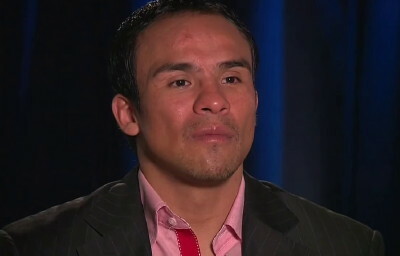 More importantly Marquez’s punches were clean and crisp and he was confident fighting at welterweight. In essence Marquez did not fight like a typical 38 year old fighter. In the minds of most boxing insiders and fans Marquez won the fight with Manny Pacquiao last weekend. The question the Marquez camp now must answer is where does he go from here? Granted Manny Pacquiao was awarded the decision, but in defeat Marquez has won over boxing fans from all over the world. Probably the most painful thing for Pacquiao is that even many of his own countrymen think he lost the fight. For Marquez it was the fight of his life and his performance exceeded almost everyone’s expectations. It is unclear at this point whether or not there will be a 4th Marquez – Pacquiao fight. It is highly unlikely that Marquez would be able to able to improve on his performance of last Saturday night. A 4th fight between Marquez and Pacquiao would in all probability result in another close encounter, with no one satisfied at the results. In each successive fight there has been less action than in the previous encounter, with each fighter adapting and re-adapting to his opponents style. Marquez’s performance may very well have been his high water mark. Many boxing observers have questioned why Marquez appeared to back off in the 11th and 12th rounds against Manny and attribute it to his trainer Nacho Beristain assuring him in between rounds that he was ahead. It is difficult to fathom however why a fighter who had complained of being robbed in his two previous fights with Pacquiao would suddenly take a breather in a fight he knew had to be close. And why would any fighter of sound mind want to risk taking it easy for a couple of rounds in the defining fight of his career? It just does not add up. There is a more plausible and likely explanation. When observing Marquez going back to his corner at the end of the 11th and 12th rounds it appeared that he was tired and running out of gas. No one can say for sure what the reason was that Marquez seemed to back off in the final rounds, but it may have cost him the fight. Boxing » Juan Manuel Marquez » What more can Marquez accomplish?